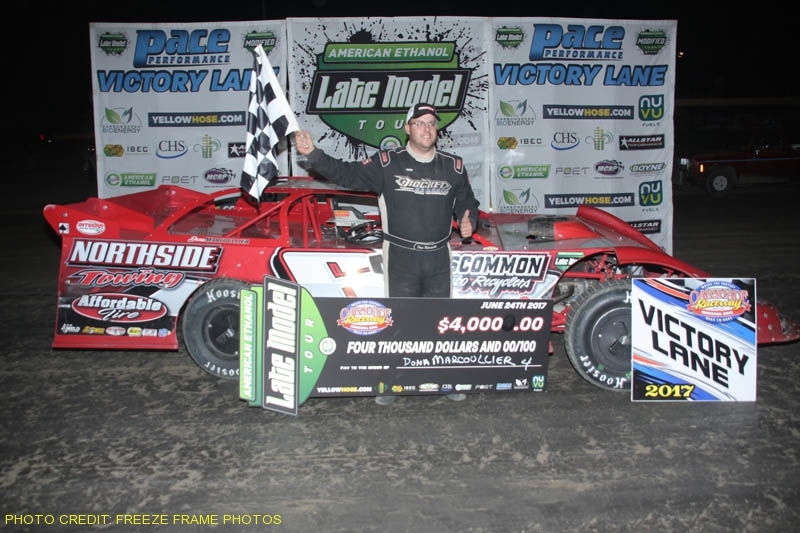 Fifty UMP Late Model driver’s made the haul to Oakshade Raceway to compete in the first ever American Ethanol Late Model Tour (AELMT) event in the state of Ohio on Saturday night. 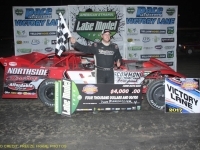 Houghton Lake, Michigan’s Dona Marcoullier earned his third AELMT win of the year, and his first of the season at Oakshade. Matt Shipley showed the way early in the 40-lap AELMT main event. Travis Stemler and Marcoullier fanned out three-wide for the lead on a restart after the only caution on lap four. Stemler picked up the lead on lap five, but Marcoullier hooked up on the outside groove and took the lead away one lap later. 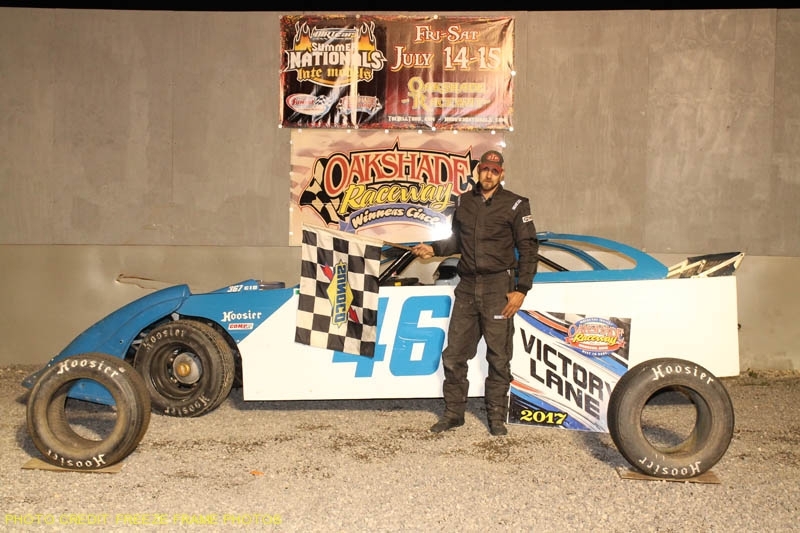 The 2013 Oakshade Late Model Track Champion proceeded to open up a sizable lead with Ryan Vanderveen following in second. Vanderveen was able to close in on Marcoullier once they started working through lapped traffic, but he could not get close enough to mount a challenge. Marcoullier picked his way through traffic masterfully all the way to the checkered flag and was presented with the $4,000 check after the win. 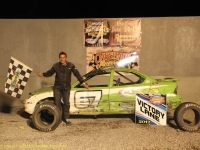 Vanderveen fended off a late charge from Brandon Thirlby to finish second. Eric Spangler was fourth and Stemler slipped back to a fifth place finish. The caution flag flew early in the UMP Sportsman feature event. Brandon Gregory, Bruce Stuart and Chris Williams raced three-wide for the lead just after the restart with Gregory taking over the top spot on lap two. Stuart would later bring out a caution of his own after getting turned around in the corner on lap 14. Gregory would lead the field back to the green, but then lost it in turn two and spun to bring out another caution which ended his chances at a win after leading the majority of the race. 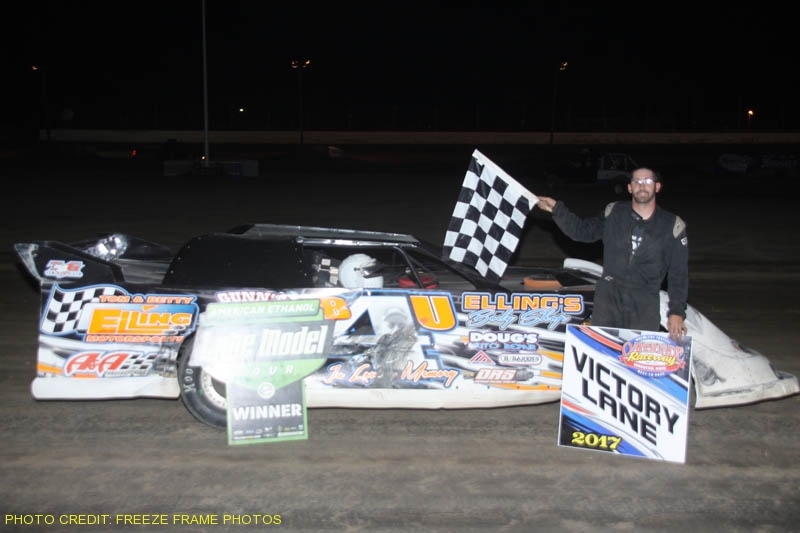 Grand Rapids, Ohio’s Chris Williams then inherited the lead and held on to pick up the feature win over current point leader Rusty Smith. Chane Stuckey just edged out a third place finish over Drew Smith. George Lindsey was fifth. 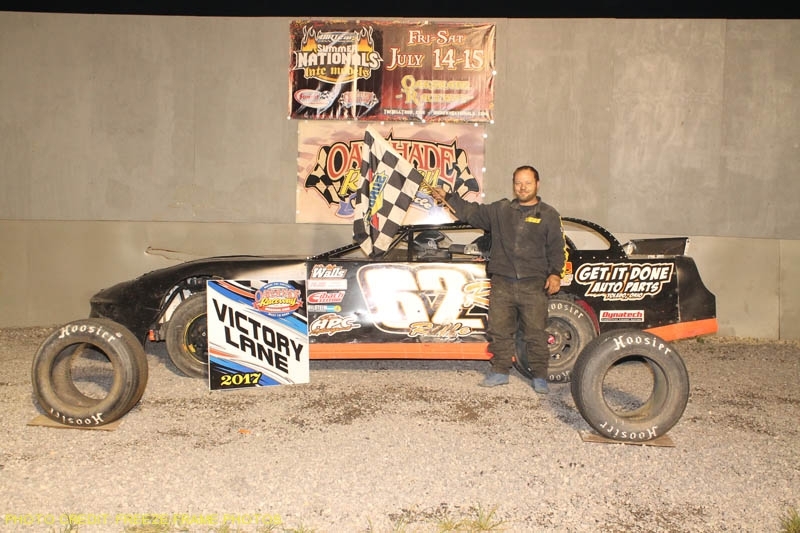 It took four attempts to complete the first lap of the Bomber A Main. Once things finally did get moving, Gregg DeTray was leading early, looking for his second consecutive A Main win. Rich Riffe had other plans and took the lead on lap seven at the same time Jeff Foks, who was running in the top five, spun in turn four to bring out the yellow flag. That saved DeTray’s lead as the line up reverted to the last completed green flag lap. 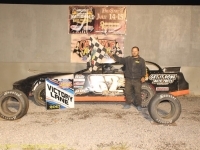 Once racing resumed, Craig Dippman made his presence known at the front after taking the lead on the high side on lap 10 of the 15-lap event. Riffe regrouped and was able to get up alongside Dippman as the white flag waved. 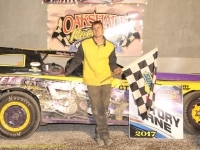 Riffe made the pass for the lead and the Toledo, Ohio, driver won his second A Main of the season. DeTray slipped back to finish third behind Dippman. Tim Hancock worked his way up to a fourth place finish with Brandon Clark finishing fifth. 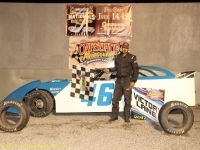 Josh Proffitt led the first part of the Compact feature event after starting on the pole. 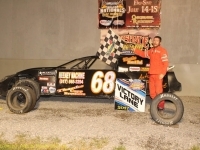 Jeff Foks Sr. from Holland, Ohio, climbed his way through the field and passed Proffit to pick up his first Compact feature win of the season. Proffitt had to settle for a second place finish followed by Cory Gumm, Jason Deshler who leads the Compact points and Josh Proffitt Sr.
Chris Henry cruised to the Bomber B Main win. 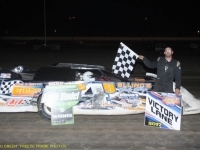 It was the Jackson, Michigan, driver’s first feature win of the season. Dustin Willier, Tom Roller, Brian Miller and Chris Bleikamp were the rest of the top five finishers. Wauseon, Ohio’s Dylan Hough quickly charged his way through the Bomber C Main field in the final race of the night after starting at the tail. Scott Hammer and Ryder Price battled for the early lead and then faded back after Hough took command and went on to pick the win. Cody Stetten was second followed by Shane Estes, Brenen Mellon and Price. 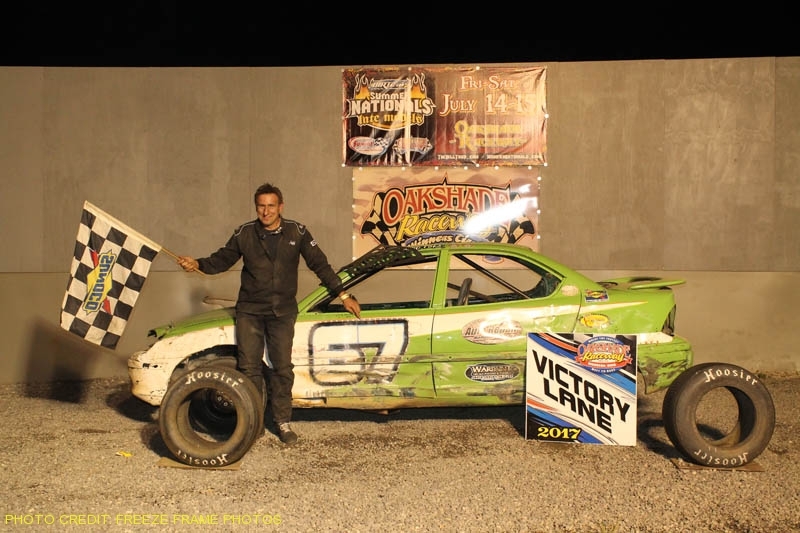 There will be a lot going on this coming Saturday, July 1st at Oakshade Raceway. 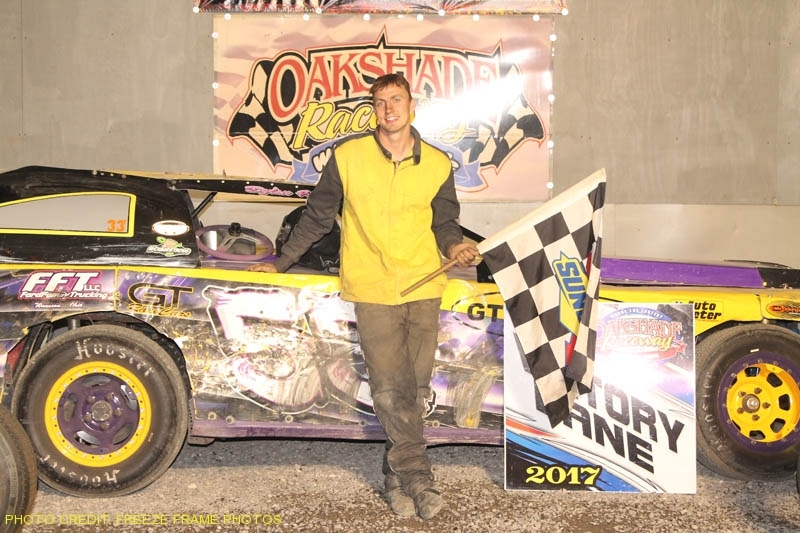 Along with being the annual Memorial Night event, it will be the first Oakshade event for the Oakshade/Attica Late Model Challenge Series after the first event in May was washed out by rain. 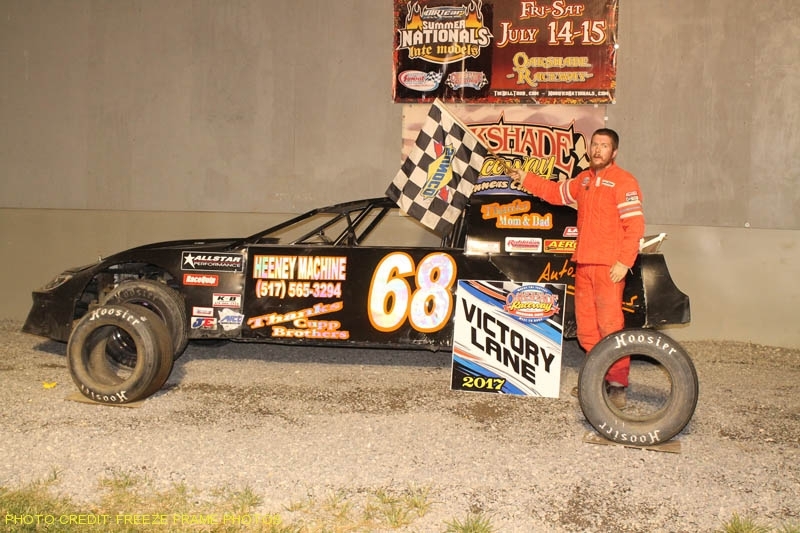 In addition to the full racing program of UMP Late Models, UMP Sportsman, Bombers and Compacts, several make up races from the rain-shortened event on June 17 will also be run including Bomber Heat 5, all Compact heats and their feature and the UMP Sportsman feature. Gates open at 4pm with hot laps at 6pm and racing starting at 7pm.